Apple is introducing iPhone 6 Plus that has a marvelous screen and super responsive Processor which is going to deliver best in class performance. iPhone 6 is not just bigger, it is getting more convenient and easily accessible in every sense.iPhone 6 Plus is more thinner and slimmer. 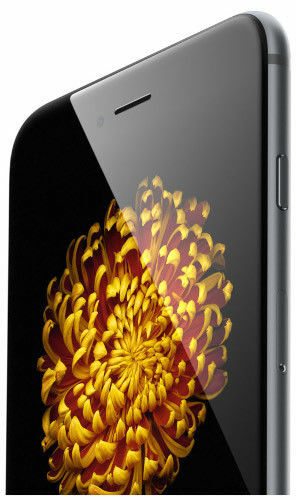 It has alluring metal surface which looks magnificent with Retina HD display. A perfect combination of Software and hardware has resulted into a completely new and smarter generation of iPhones. A streamlined metal touch and finish with the flawless transition of Grey, every detail has been crafted beautifully in the phone. It is just 7.1 mm thin with a more richer, larger and advanced display so that you can have the best view from all the angles. 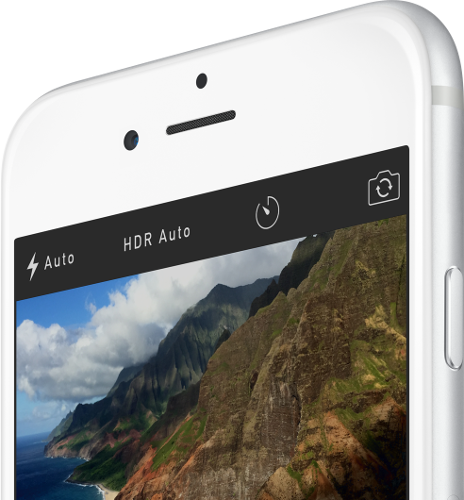 iPhone 6 Plus is equipped with a 5.5 Inches LED-backlit HD widescreen. You won't miss a single detail with a resolution of 1334 x 750 Pixels that let you have a wider and clear view of the your favourite content. A multi-touch display with the brilliant color contrast of 1400:1 delivers sheer clear and a more improved sight. Apple iPhone 6 Plus is composed of robust A8 chip which is built on second-generation 64-bit desktop-class architecture. The fabulous and robust M8 chip increases the power of the device that measures the activity from sensors with the help of a barometer. The new A8 chip is more smoother and fast, it let you to execute multiple tasks easily and within a short span of time. The chip is designed to be more power efficient and to deliver a power-packed smart performance. The iPhone 6 Plus let you enjoy high graphic-intensive games or high frame rate videos for a longer duration without any hassle. To deliver ultimate performance, A8 uses an cutting-edge 20-nanometer process. The rich, small and dynamic chip have the capability to deliver two billion transistors in a more efficient way which automatically leads to the superb performance. Apple is committed to deliver you the best in class and performance and enjoy high end graphic performance with the A8 chip and iOS 8 Operating System. 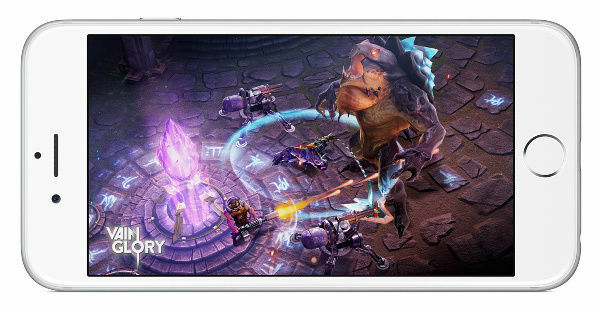 It is announcing a completely new technology that that let the developers to create highly immersive console-style games on iPhones. The metal of the phone is customized in a way so that GPU and CPU can work in coordination. It results into a more detailed and complex visual effect. With the new sophasticated technology the imaginary world looks more realistic. 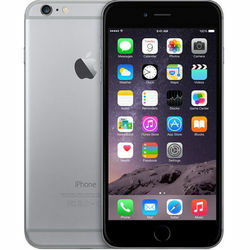 Apple iPhone 6 Plus enables you to capture your memorable moments for life long through its new 8 MP iSight camera. The iSight camera comprises of an Apple-designed video encoder. It has some more advanced features too which adds to the beauty of image like enhanced noise reduction, face detection, focus pixel, continuous autofocus, and many more. The auto HDR facility brings a clarity and exact color reproduction in the image which makes the whole image more real and classic. Now access unlimited surfing, calling, music and lots more on your iPhone 6 Plus as the phone has a built-in Lithium-Ion battery which is going to be incredibly efficient. It delivers you a longer talktime and standby time too. You need not to get worried if you are traveling, the battery is sufficient enough to hold a long charge. With more robust body and appealing features, iPhone 6s and iPhone 6s Plus are all set to take your smartphone experience to another level! Apple is introducing iPhone 6 Plus that has a marvelous screen and super responsive Processor which is going to deliver best in class performance. Bigger Than Bigger iPhone 6 is not just bigger, it is getting more convenient and easily accessible in every sense.iPhone 6 Plus is more thinner and slimmer. It has alluring metal surface which looks magnificent with Retina HD display. A perfect combination of Software and hardware has resulted into a completely new and smarter generation of iPhones. At its Largest & Thinnest A streamlined metal touch and finish with the flawless transition of Grey, every detail has been crafted beautifully in the phone. It is just 7.1 mm thin with a more richer, larger and advanced display so that you can have the best view from all the angles. 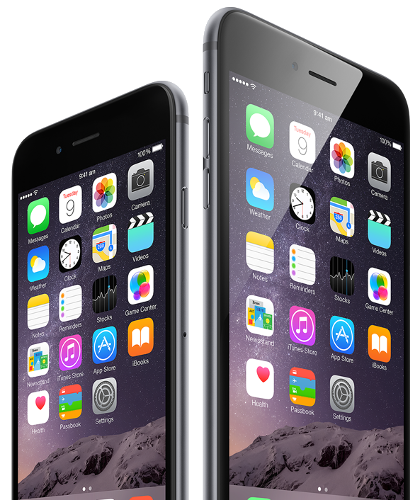 Not Just a Bigger Display, A Better Display iPhone 6 Plus is equipped with a 5.5 Inches LED-backlit HD widescreen. You won't miss a single detail with a resolution of 1334 x 750 Pixels that let you have a wider and clear view of the your favourite content. A multi-touch display with the brilliant color contrast of 1400:1 delivers sheer clear and a more improved sight. Hugely Powerful & Enormous Efficient Apple iPhone 6 Plus is composed of robust A8 chip which is built on second-generation 64-bit desktop-class architecture. The fabulous and robust M8 chip increases the power of the device that measures the activity from sensors with the help of a barometer. A8 Chip, High Performance The new A8 chip is more smoother and fast, it let you to execute multiple tasks easily and within a short span of time. The chip is designed to be more power efficient and to deliver a power-packed smart performance. The iPhone 6 Plus let you enjoy high graphic-intensive games or high frame rate videos for a longer duration without any hassle. Two Billion Transistors Strong To deliver ultimate performance, A8 uses an cutting-edge 20-nanometer process. The rich, small and dynamic chip have the capability to deliver two billion transistors in a more efficient way which automatically leads to the superb performance. M8 Co-processor iPhone 6 is equipped with M8 motion co-processor, it measures the data through gyroscope, barometer, compass and accelerometer. 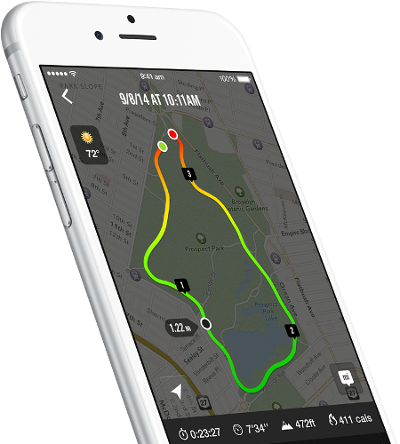 It even measures your steps, changes in elevation and total distance covered. Metal Raises the Game Apple is committed to deliver you the best in class and performance and enjoy high end graphic performance with the A8 chip and iOS 8 Operating System. It is announcing a completely new technology that that let the developers to create highly immersive console-style games on iPhones. The metal of the phone is customized in a way so that GPU and CPU can work in coordination. It results into a more detailed and complex visual effect. With the new sophasticated technology the imaginary world looks more realistic. The Power Behind Our Most Powerful Camera Apple iPhone 6 Plus enables you to capture your memorable moments for life long through its new 8 MP iSight camera. The iSight camera comprises of an Apple-designed video encoder. It has some more advanced features too which adds to the beauty of image like enhanced noise reduction, face detection, focus pixel, continuous autofocus, and many more. The auto HDR facility brings a clarity and exact color reproduction in the image which makes the whole image more real and classic. Great Battery Life Now access unlimited surfing, calling, music and lots more on your iPhone 6 Plus as the phone has a built-in Lithium-Ion battery which is going to be incredibly efficient. It delivers you a longer talktime and standby time too. You need not to get worried if you are traveling, the battery is sufficient enough to hold a long charge.Explore more on Apple iPhone. Check out other mobile phones and latest smartphones with excellent features & technology.With more robust body and appealing features, iPhone 6s and iPhone 6s Plus are all set to take your smartphone experience to another level! Operating System With amazing new capabilities and updates to features you use every day, iOS 8 is the biggest iOS release ever.